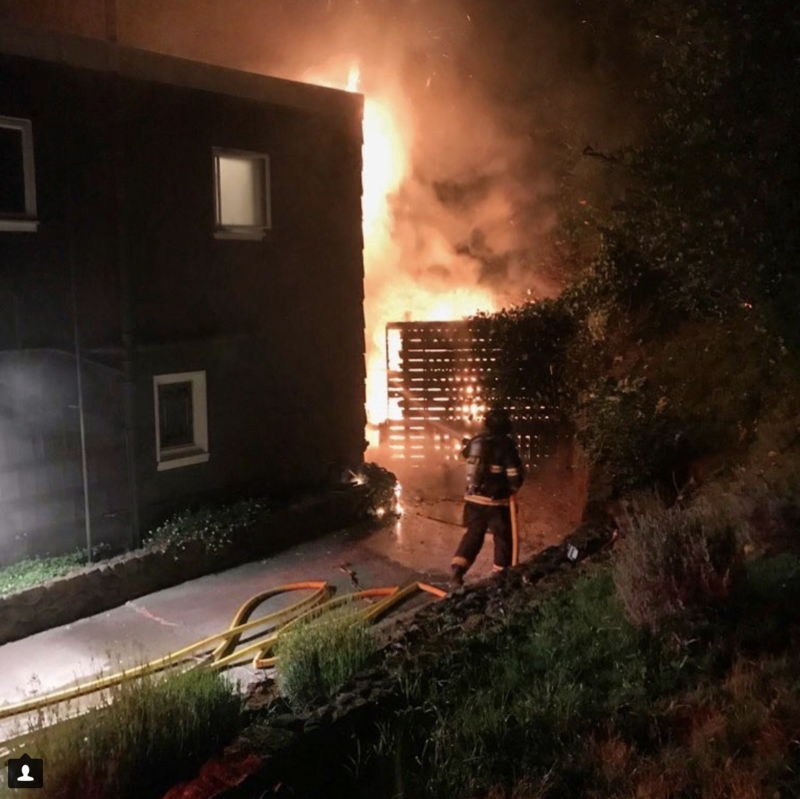 Central Marin Firefighters quickly controlled an overnight structure fire in the 300 block of Corte Madera Avenue. Just after 2 AM on Sunday morning, the residents of a large two-story home were awakened by the sound of the blaze and immediately called 911. The fire, which started in a garbage can next to the house, ignited the siding and quickly spread to the interior and the attic space. While responding, firefighters were advised that nearby callers were reporting that the fire was spreading into the brush. After interviewing the homeowner and inspecting the area where the fire started, firefighters suspect that the fire was caused by oily rags that were placed in the garbage on Saturday following an outdoor furniture staining project. "It's a commonly misunderstood phenomenon" said Central Marin Fire Chief Scott Shurtz. "Certain oil-based products such as stains, varnishes, teak and linseed oils or even paint thinners are capable of spontaneous combustion under certain circumstances." The fire caused an estimated $250,000 in damage to the structure and it's contents.